Young children often experience frustration when they cannot communicate how they are feeling. 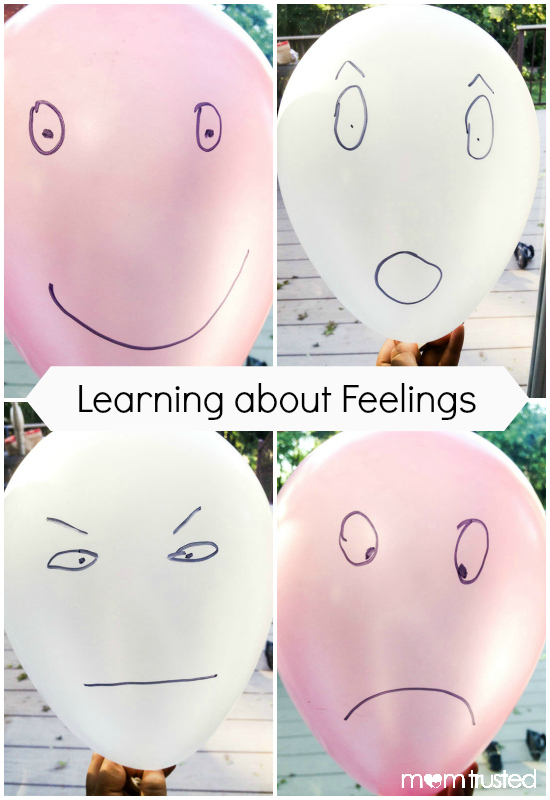 Help your preschooler learn how to express their feelings with this fun balloon activity. You will need: balloons, markers, and lots of air! Blow up a balloon. Ask your child how people look when they feel happy. Draw a smiley face on one side of the balloon. Turn the balloon around. If you have an older child, ask them what the opposite of happy is. Talk about things that make them feel sad. 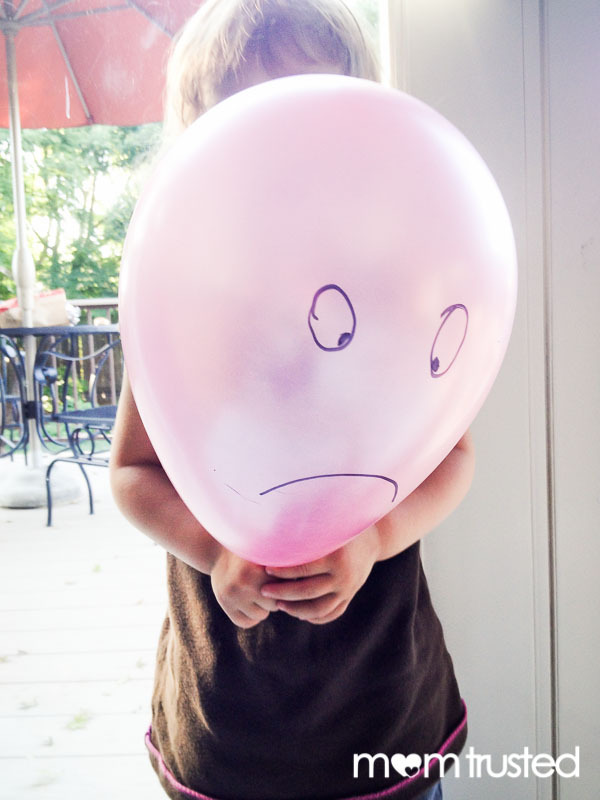 Draw a sad frown face on the other side of the balloon. If you want to, talk about other feelings. You can tell a lot about how someone is feeling from their face. If they have wide eyes and an open mouth they might be feeling scared or surprised. If someone is feeling mad, their eyebrows go down. A sleepy person yawns. 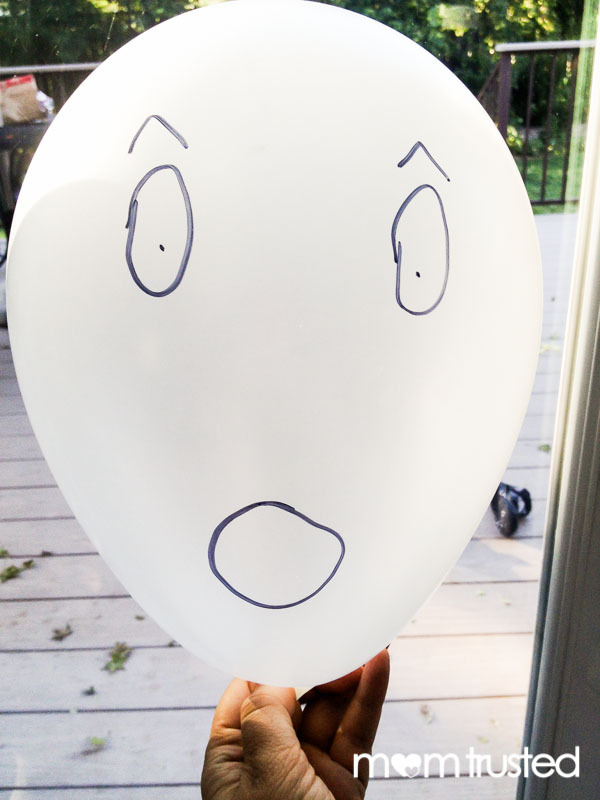 Help your child draw different faces on balloons. Ask them to show you which face they would be feeling if you offered them ice cream? If they lost their teddy bear? When it’s bedtime?